A van veered onto a promenade Thursday and barreled down the busy walkway in central Barcelona, swerving back and forth as it mowed pedestrians down and turned a picturesque tourist destination into a bloody killing zone. Thirteen people were killed and 100 were injured, 15 of them seriously, in what authorities called a terror attack. Early Friday, Catalan police posted a tweet saying they shot and killed four suspects and wounded a fifth in a resort town south of Barcelona. 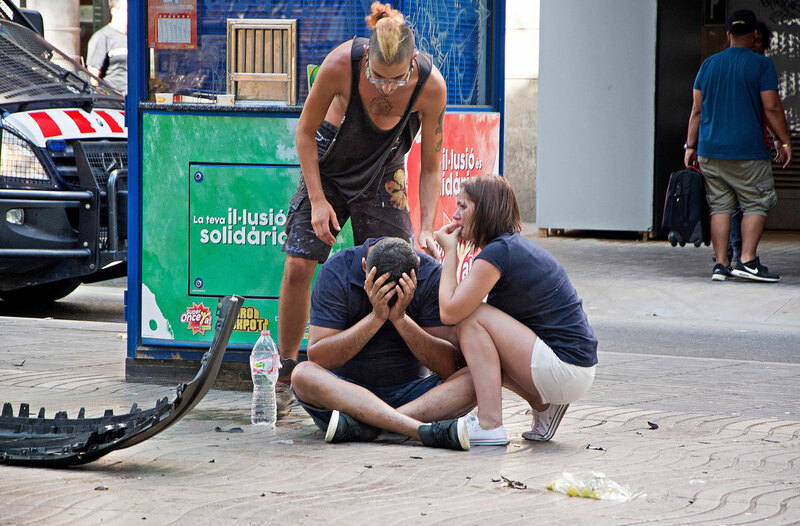 They said officers “shot down the perpetrators” to “respond to a terrorist attack.” It wasn’t immediately clear from the tweet if the five shot were suspects in the Las Ramblas attack or were allegedly targeting another location. 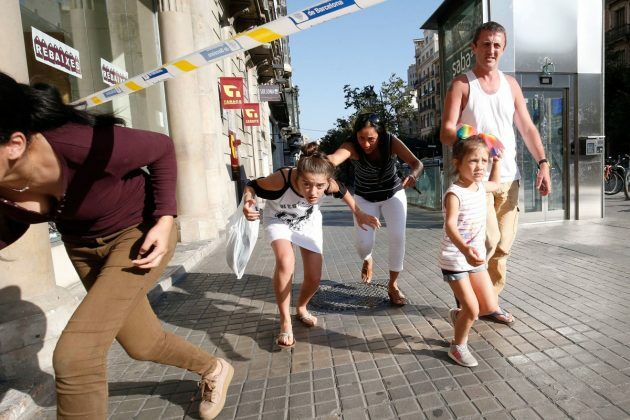 A taxi driver who witnessed Thursday’s attack, Oscar Cano, said the white van suddenly jumped the curb and sped down the central pedestrian area at a high speed for about 500 yards (457 meters), veering from side to side as it targeted people. 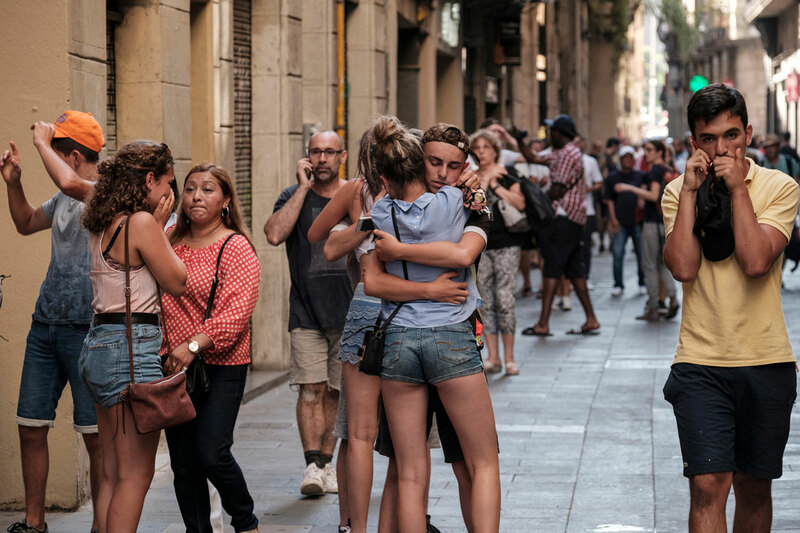 Tamara Jurgen, a visitor from the Netherlands, said she and a friend were inside a clothing store steps from the scene and were kept inside until it was safe to leave. Spain’s public broadcaster, RTVE, reported that police suspected them of planning to carry out an attack in Cambrils, a seaside town about 100 kilometers (62 miles) from Barcelona. 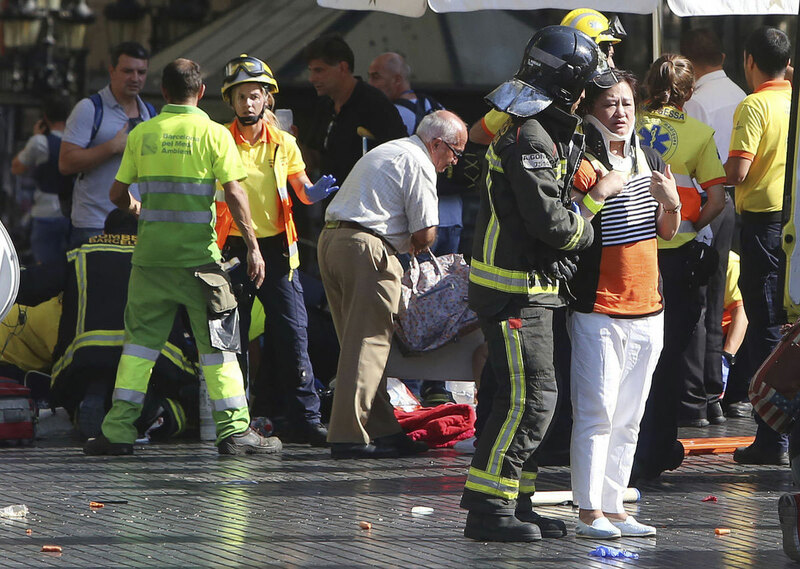 Authorities said the dead included a Belgian and a Greek woman was among the injured. 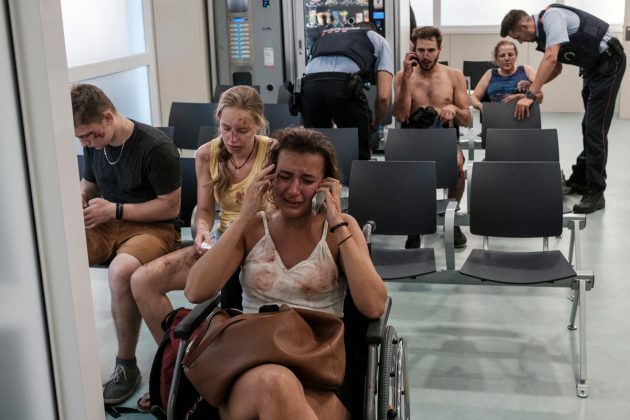 Germany’s Foreign Ministry said it was checking reports that German citizens were among the victims. Trapero said neither of them was the van’s driver, who remained at large after abandoning the van and fleeing on foot. 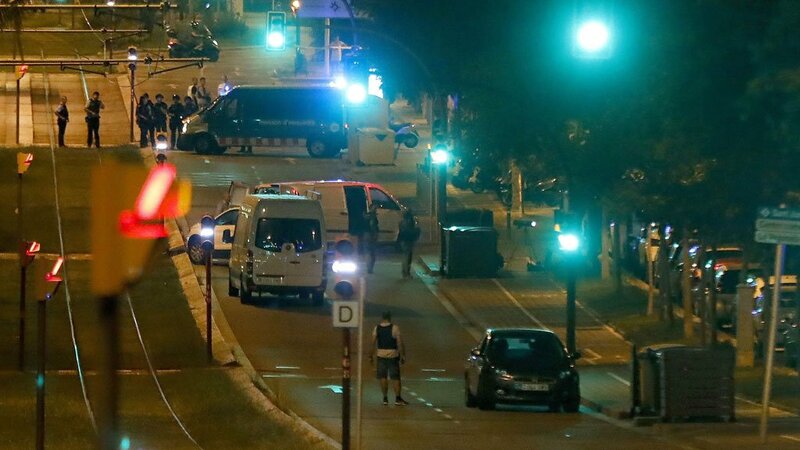 The arrests took place in the northern Catalan town of Ripoll and in Alcanar, the site of a gas explosion at a house on Wednesday night. 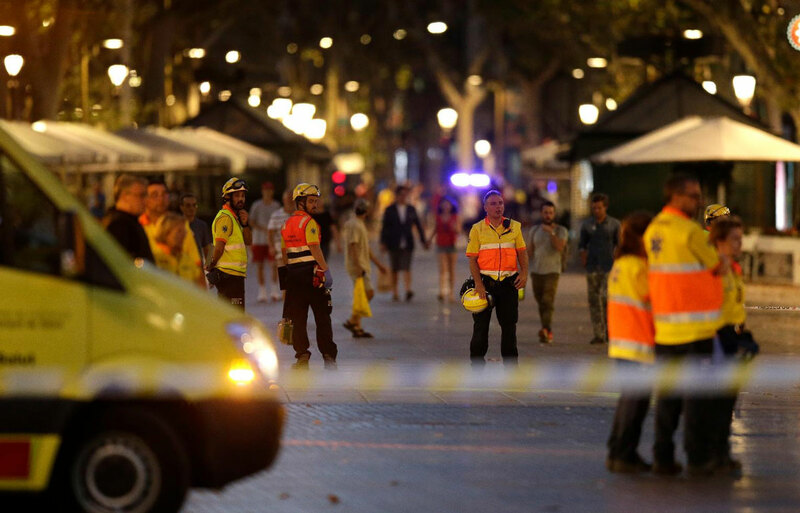 Police said they were investigating a possible link between the explosion and Thursday’s attack. 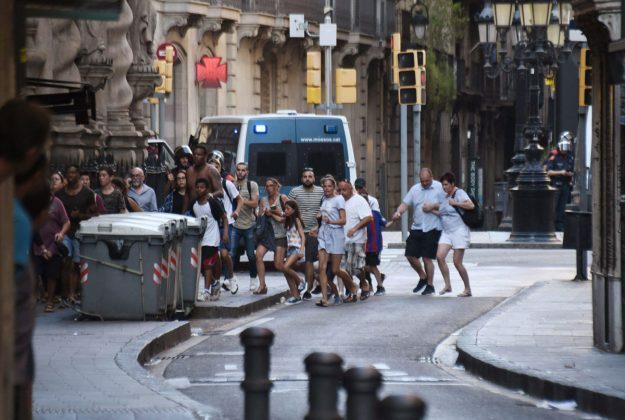 Barcelona is the latest European city to experience a terror attack carried out using a vehicle as a weapon to target a popular tourist destination, after similar attacks in France, Germany, Sweden and Britain. 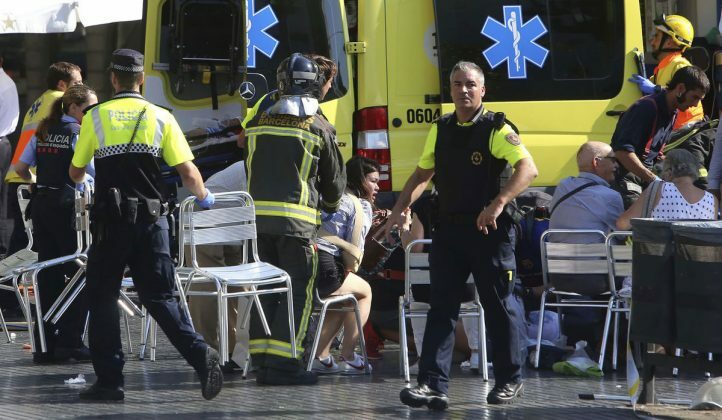 Thursday’s bloodshed was Spain’s deadliest attack since 2004, when al-Qaida-inspired bombers killed 192 people in coordinated assaults on Madrid’s commuter trains. 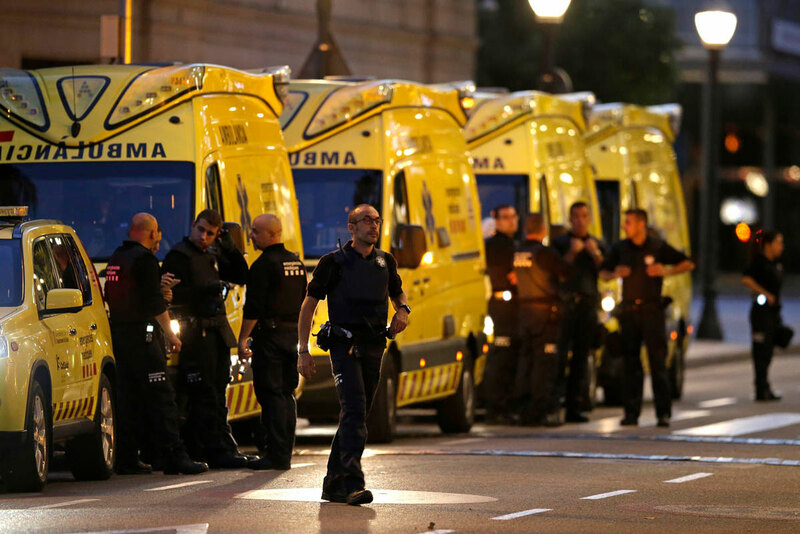 In the years since, Spanish authorities have arrested nearly 200 jihadists. The only deadly attacks were bombings claimed by the Basque separatist group ETA that killed five people over the past decade but declared a cease-fire in 2011. 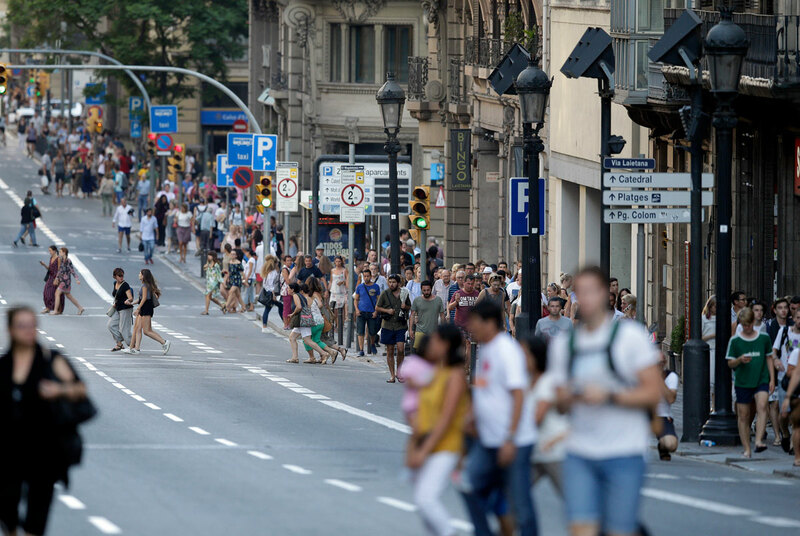 Hours after Thursday’s attack, the police force for Spain’s northeastern Catalonia region said troopers searching for the perpetrators shot and killed a man who was in a vehicle that hit two officers at a traffic blockade on the outskirts of Barcelona. But Trapero the driver’s actions were not linked to the van attack. Update on Barcelona Las Ramblas District Terror Attack. 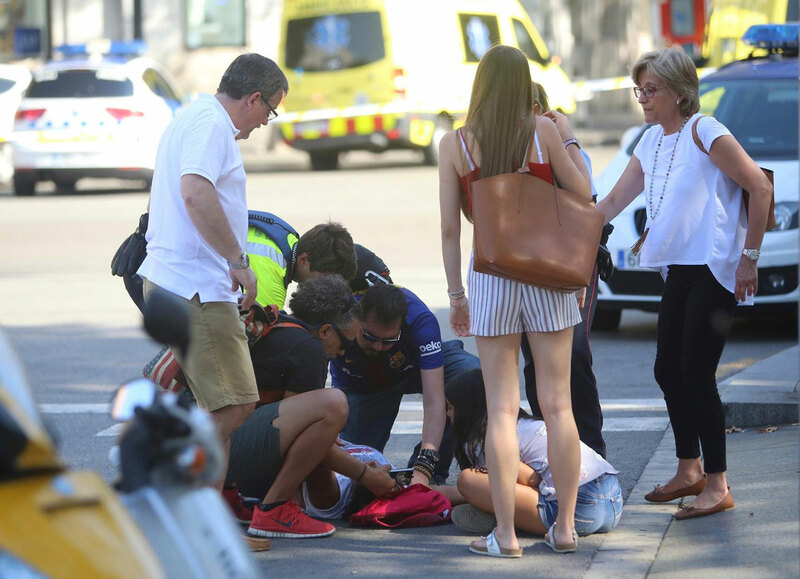 The van attack in the city’s Las Ramblas district left victims sprawled in the historic street.